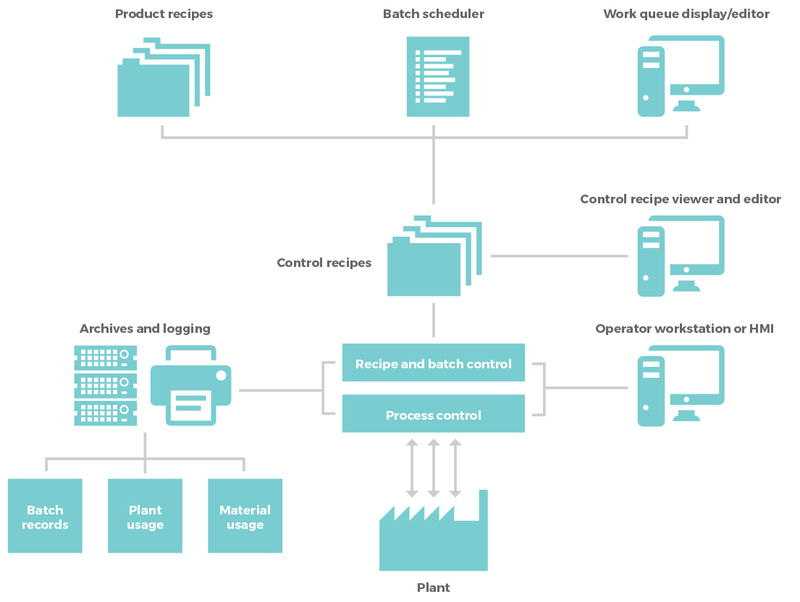 C-quin is a completely integrated process control and supervisory system designed specifically to meet the complex needs of batch processing. It has been developed to provide comprehensive batch record keeping whilst significantly improving plant safety, reducing operation costs and introducing a high degree of convenience for operators, process technologists and plant chemists. The C-quin system has been successfully implemented worldwide in applications that include pharmaceuticals, resins, paints, fine chemicals, biocides and agrochemicals. C-quin hardware uses the latest industry standard for the control system and off-the-shelf PCs for operator and supervisory workstations. This ensures independence from customised hardware, long term availability of spares and an easy upgrade path for system enhancements and extensions. C-quin software is a fully matured and tested product. It provides direct digital control of multi-product batch processes with parallel control of independent batch streams. 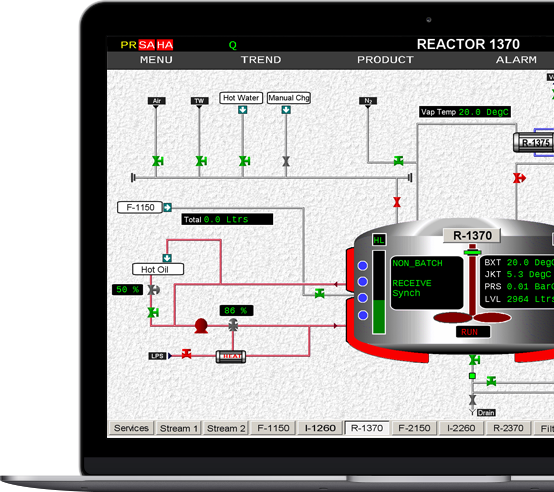 A particularly valuable feature is the recipe interpreter which allows recipes to be specified and modified using the native language and terminology of the plant engineer or process chemist. C-quin can also be supplied with a PC compatible integrated management information system. This allows managers to analyse the process and plant performance against a variety of parameters, based on costs, material, time and plant usage. Analysis can cover the entire plant, or can focus on a single unit, vessel or sub-process.